Eligible veterans may have military honors provided the family has a copy of his or her honorable discharge papers (DD-214). We work with the national funeral honors detail as well as our local American Legion posts in order to provide quality military honors for our veterans. In most cases, the veteran’s branch of service will provide the flag folding with our legion post providing the rifle volleys. During this is the playing of Taps. Military tradition is important in honoring our veterans. 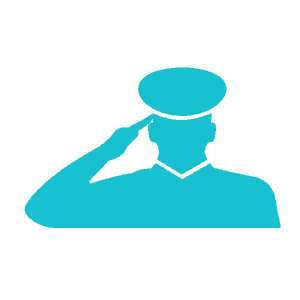 Let us take care of your veteran by ordering military honors. Eligible veterans are entitled to an American Burial Flag at no cost. We will need a copy of the veteran’s discharge paper (DD-214) and we will take care of picking up the flag along with providing the necessary flag application to our local Post Office. The flag is given to the next-of-kin as a keepsake after the military honors have been completed. A United States flag is provided, at no cost, to drape the casket or accompany the urn of a deceased veteran who served honorably in the U.S. Armed Forces. It is furnished to honor the memory of a Veteran’s military service to his or her country. VA will furnish a burial flag for memorialization for each other than dishonorable discharged.